Do you want to be part of a growing team and play an important role in continuing our success in building the North American market? Due to our continued growth, Sophion Bioscience Inc. is seeking an Application Scientist to be based in our Boston facility (Woburn, MA). As an Application Scientist at Sophion, you will encounter interesting challenges of technical and application character of nearly all known ion channels. You will be challenged with the very fundamentals of patch clamping as well as collaborating with the best electrophysiologists in both industry and academic laboratories. You will be a part of a global application team with colleagues in Denmark, Japan and China. Do you want to be part of a growing team and play an important role in continuing our success in building the North American market? Read more about this position and how to apply here. Do you want to be part of a growing team and play an important role in helping us develop microfluidic biochips for researching the pharmaceuticals of tomorrow? 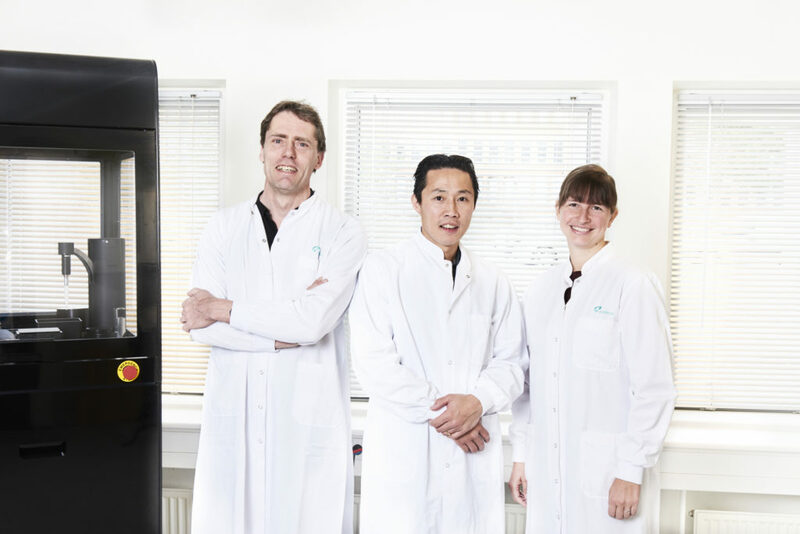 Sophion Bioscience is looking for a new colleague for our R&D team located at our headquarters in Ballerup, Copenhagen (Denmark). We are looking for a person who can take ownership and contribute to the future development and quality assurance of microfluidic biochip measurement plates, as well as contribute to other areas within robotics and automation for high-throughput pharmaceutical research equipment. Do you want to be part of a growing team and play an important role in continuing our success? Read more about this position and how to apply here. Due to our continued growth, Sophion Bioscience Inc is seeking a Sales Account Manager responsible for the sales activities associated with the QPatch and Qube Automated Patch Clamp Platforms to join our team in Boston, US. The successful candidate will build and maintain strong customer relationships with our current customers while expanding our customer base with the goal of growing Sophion Bioscience’s market share, revenue and profitability year over year. Due to our continued growth, Sophion Bioscience K.K. is seeking a Sales Account Manager responsible for the sales activities associated with the QPatch and Qube Automated Patch Clamp Platforms to join our team in Japan. The successful candidate will build and maintain strong customer relationships with our current customers while expanding our customer base with the goal of growing Sophion Bioscience’s market share, revenue and profitability year over year. Do you want to be part of a growing team and play an important role in continuing our success in building the Japanese market? Read more about this position and how to apply here. Due to our continued growth, Sophion Bioscience K.K. is seeking an Application Scientist to be based in our facility in Japan (Honjo Waseda, Saitama). As an Application Scientist at Sophion, you will encounter interesting challenges of technical and application character of nearly all known ion-channels. You will be challenged with the very fundamentals of patch-clamping as well as collaborating with the best electrophysiologists in both industry and academic laboratories. You will be a part of a global application team with colleagues in Denmark, the United States and China. Sophion Bioscience Inc. is looking for a Field Service Engineer for its North American Technical Service team based out of the Boston, MA office reporting directly to the NA Field Service Manager. This role requires strong technical and communication skills to help deliver a mixture of customer service, service maintenance and repair activities. The service engineer while servicing our cutting-edge Ion Channel technology will also interface with groups in our home office in Denmark, collaborating with colleagues in Sales, Customer relations, R&D, and Production. For someone with vast experience in technical service of scientific instrumentation, this will be a very exciting and rewarding position. Bachelor of Science degree in Electrical Engineering or equivalent technical service experience. Experience in servicing robotic systems a plus ability to lift/push heavy loads in excess of 600 lbs. by him/herself with proper tools. Overnight travel is expected to be 50% at a minimum and limited weekend travel may be required from time to time. Must demonstrate the ability to build strong customer relationships. Strong verbal and written communication skills and proficient with Microsoft Office as well as the ability to learn service specific software. The successful candidate needs to be service minded, self-motivated, energetic with a strong sense of urgency. Must be able to work independently and as part of a team with field sales, field application specialists, and colleagues in NA and the home office in Denmark as well as globally. Must be able to manage time effectively and work efficiently and professionally in a fast-paced, changing environment. Ability to travel to Denmark for 4-5 weeks of training 1-2 times per year. Must have proper documentation to work in the US and Canada. Send your application and resumé to job@sophion.com. 2017.06.02 Software developer – Software for researching pharmaceuticals of tomorrow.